STOCKHOLM HERE (WE) I COME! get ready dear stockholmigans for your first sick girls experience. M.I.A. is indeed back with powerpower. great live show in cologne this past weekend. everybody loves you maya - and so do we. don't miss her new album KALA. after our set which was beautiful to hear...thx...see you again soonish. you haven't heard from us in a while. heavy heavy peepz in PLAUEN! when can we come back?? our first mix is going to be released on cd. by TIGERBEAT 6 maestro KID 606 on his sublabel VIOLENT TURD. we're getting the hiccups every time we think about this. 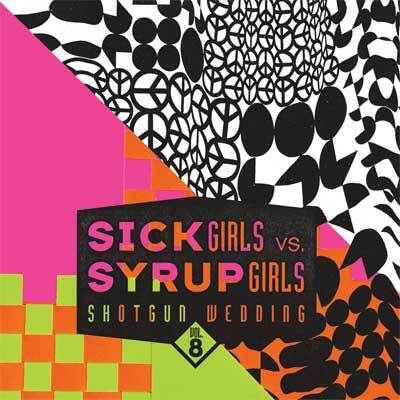 safe your mony and get shotgung wedding vol.8 at the end of september. AISHA btw, we luuurve it!) instead of all this invisible data on your ipod, promise! chopped&screwd&mashed&bashed down to a nonstop 35minutes remix. OK. you got 4 more weeks to practice. we play in berlin. september 20th that is. so here you go: watch&repeat. Sick Girls carry the Revolution to your DOORSTEP, all you have to do is sign in.